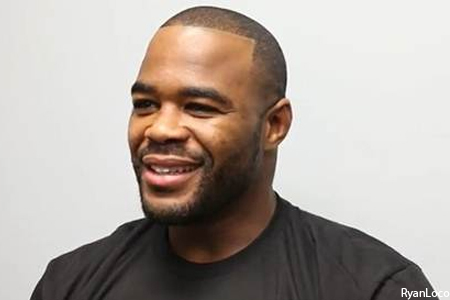 Last week, Rashad Evans (Pictured) and Jon Jones rekindled their rivalry on the set of “UFC Ultimate Insider.” Host Jon Anik sat between the light heavyweights as they exchanged heated insults back-and-forth. In the second and final installment, the former friends debate who is more fake. “I look at you as fake. I look at you as arrogant. I look at you as selfish. I look at you as self-centered,” Jones told Evans. The bitter rivals will finally get to settle their differences this Saturday inside Philips Arena in Atlanta, Georgia. Click HERE if you missed Part I.